In honor of Mary’s Birthday, Sept. 8, the school community recites a rosary in the church garden. 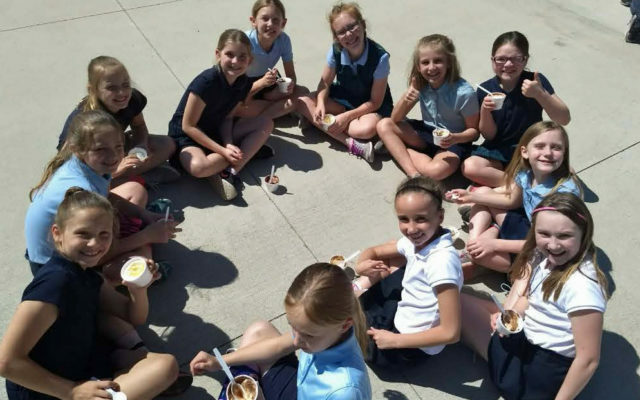 There is an ice cream celebration following the rosary. The students in each grade also gave Gifts in honor of Mary’s Birthday, symbolized by paper flowers attached to a bouquet on the hallway wall. 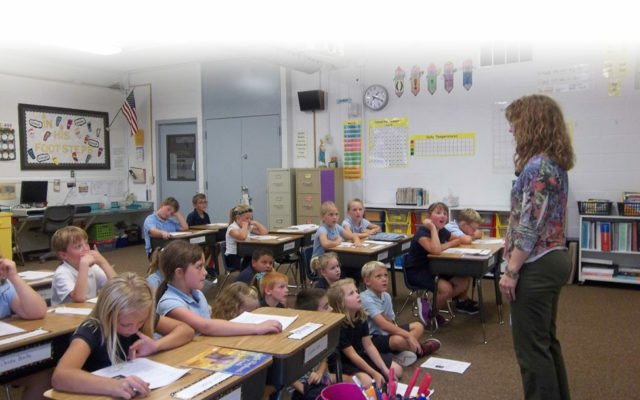 During October, the month of the rosary, St. Mary’s students participate in a “Pray It Forward” Rosary. Every family receives a hand-made rosary which they use to pray a rosary for one person. They then send the rosary on to the person for whom they prayed and request to do the same as well. The rosary, then, is sent on and on to person and to person, and therefore, becoming a “Pray It Forward” Rosary. Students dress as their favorite saint on All Saints Eve. 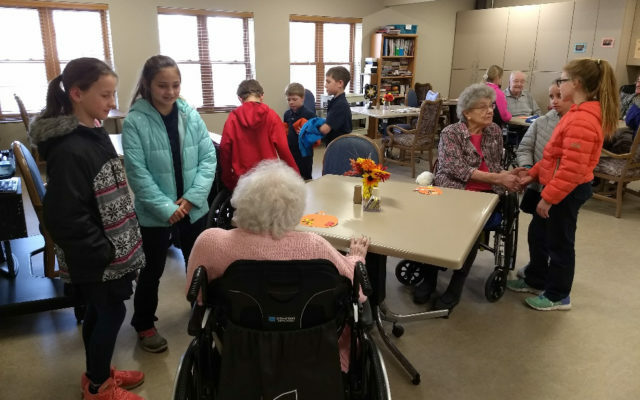 The students conduct a Thanksgiving Collection of food and paper products before Thanksgiving. The items are delivered to the local Blue Valley and the diocesan St. Gianna’s Homes. As an Advent project for the students and staff, hallway trees are decorated with donated winter hats, gloves and scarves for the needy of the area. Hundreds of winter items are collected for Blue Valley and Catholic Social Services. 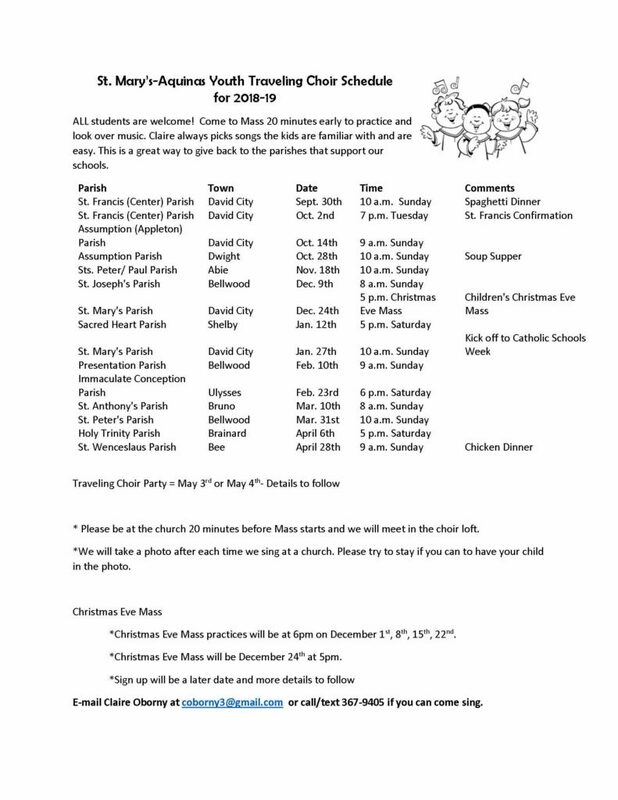 All students, pre-school through Grade 5, perform an Advent program of music and dialogue reminding all of Jesus, the reason for the Christmas season, for parents and the community. 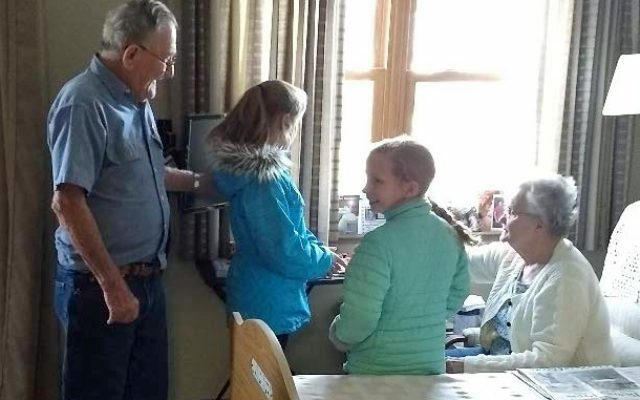 The children also perform an afternoon matinee (same as the evening performance) for grandparents and anyone else who can’t make the evening performance. A Grandparents Reception is held after the afternoon performance for grandparents and their grandchildren. 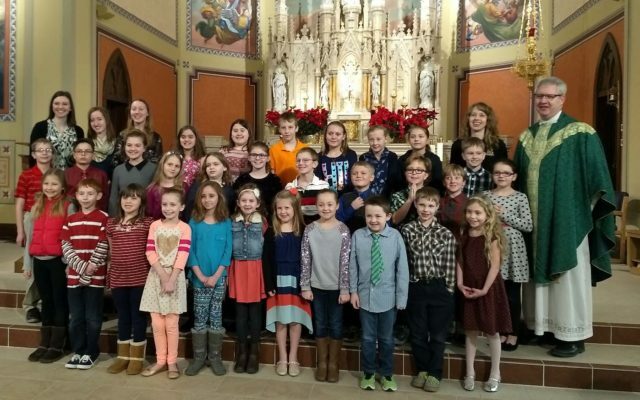 During this week-long celebration of Catholic Schools, students have the opportunity to celebrate Mass with the Bishop, participate in Adoration, and challenge each other in a Penny War (money goes to a charity). The week ends with Grandparents Day. Lent includes weekly Stations of the Cross and prayer reflections for the students and staff. 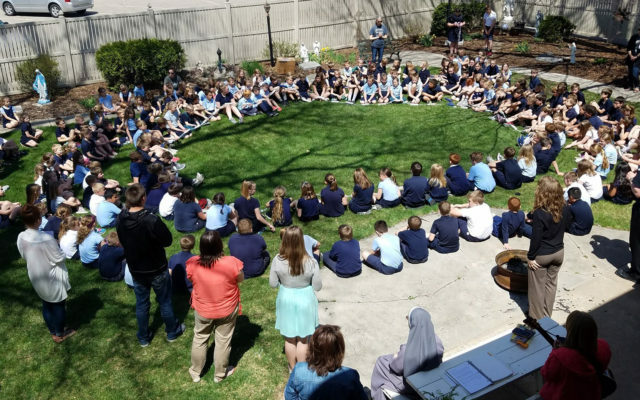 The school community has a May Crowning and Rosary in the Church Mary Garden during the month of Mary, May.